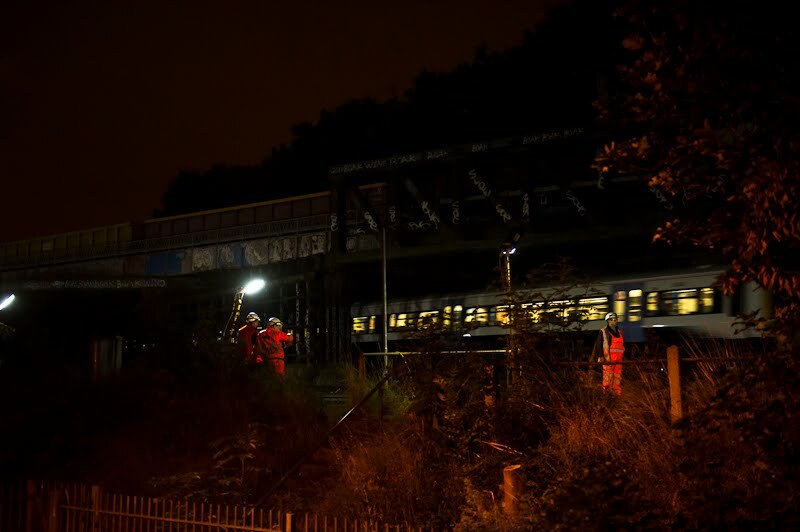 Network Rail construction workers take a break during making an overnight repair on the railway tracks on September 29th, 2012 in The London Borough of Lewisham. There have been recent community meetings to have planned construction over the holidays stopped. I keep seeing petitions around my neighborhood to have planned overnight construction that includes over Christmas and New Years to be stopped. The work is always planned overnight because its easier to annoy one area than all the commuters that would be effected by the work if it was carried during the day.